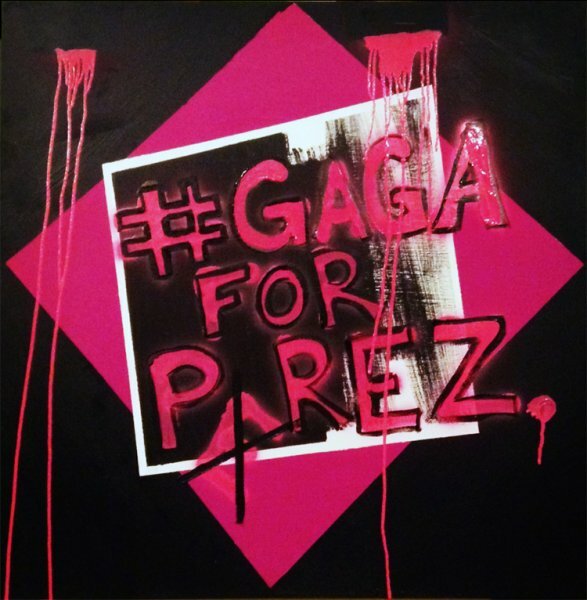 This piece illuminates the famous, or infamous, feud between social media blogger Perez Hilton and pop superstar, Lady Gaga, while shedding light on her passionate activism as well. SOLD. Property of The OUT NYC, Hotel & Resort.